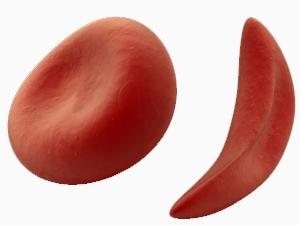 This webinar will provide an introduction to Sickle Cell Disease and describe the nurses’ role in caring for clients with this disorder. Recognize sickle cell as a multi-system genetic disorder. Recognize pain as the most common presentation; pain is mostly acute but can become chronic. Be aware of the breadth of issues related to sickle cell including its broad manifestation and social impact. Understand the nurses’ role in responding to clients with sickle cell. Be aware of community groups and advocacy organizations that they can support with their time. Kate has been an NP working with red blood cell disorders for about 4 years. She completed her BScN as well as MN-NP from the University of Toronto. Melina Cheong is a nurse practitioner that has been with the Sickle Cell and Thalassemia program at Sick Kids for the past 5 years. She completed her BScN at Ryerson University and MN-NP at the University of Toronto. Jacquie Dover is a registered nurse with over 20 years of experience in a variety of positions in community health settings. She draws her inspiration from registered nurse and sickle cell trailblazer Lillie Johnson and also from the late Dr. Robert Frankford who championed family physicians to take an increased interest in sickle cell.